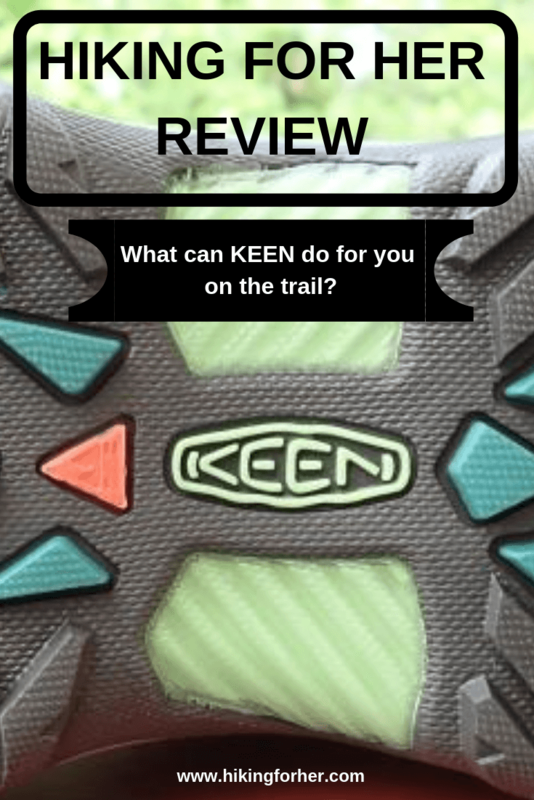 KEEN hiking boots review time! You're here to figure out the kinds of boots which are best for hiking. I'm here to deliver, based on long trail experience. I think I found a pair of great hiking boots, perhaps the best lightweight hiking boots on the market. And I'm eager to tell you all about them! After wearing heavy soled leather hiking boots for four decades (yup, you read that correctly), I switched to lightweight, waterproof, breathable KEEN boots. And I just had to tell you why! A hiking boots review should be fair and balanced: what I like, what I don't like, with plenty of details, and that's what you'll find here. I always like to start off on the right foot (OOH, a hiking pun! ), so let me list the reasons I love these KEEN Targhee III mid hiking boots. NOTE: I am not pushing these KEEN hiking boots on you. I just know they'll do good things for your feet. If you purchase these boots using the links on this page, Hiking For Her receives a small (pennies on the dollar) commission without costing you a penny extra. Nobody asked me to write this review; I just want to tell you what works for me so you can make smart hiking gear choices with your hard earned money. That's why I affiliate only with the best hiking gear brands. I love to write thorough hiking gear reviews, so bear with me as I call out the best features of these boots in this hiking boots review! So lightweight and breathable compared to my all leather boots with Vibram soles!!! This makes a noticeable difference in my gear weight. It also creates less calf fatigue, although I’m probably giving up some muscle toning and conditioning by going lighter. I bought them a half size too big, to accommodate my high arches, wide feet, and tendency toward swollen sore toes. They feel lovely on my feet, even 10 miles into a 14 mile hike. The larger size, however, created a balance problem while going uphill or navigating rocky terrain. My feet didn’t exactly slide in the boots (thanks to 2 pairs of socks, a thin liner covered by thick hiking socks), but I needed to be extra careful about foot placement. I don’t think this is an inherent problem with the boots, however, so I won't list it as a "con". It's something to be aware of, though, if you like to wear roomy boots for the reasons I mentioned. For hikers with narrow heels, know that these boots run a half size small. If you're looking for a snug fit, don't go up that half size - but you may have to fiddle with sock thickness as a result. They dry quickly when they get soaked. In fact, after walking through wet tundra and stopping for a rest break, I could literally see them drying in the breeze. And overnight drying in your tent is a distinct possibility in all but the most humid, saturated hiking weather. And they were waterproof, too. Really, truly waterproof (rather than repellant). I don't know how long this will last, though. I'll report back. UPDATE: I wore these boots through a soggy week of Canadian Rockies hiking. My feet were always wet at the end of the day, but wearing 2 pairs of socks (thin liners + absorbent thick socks) kept my skin from pruning up, or worse yet, blistering. It's unrealistic to expect any hiking boots to stand up to water day after day. And you should expect to replace the waterproofing using a NikWak product like this one. The upside of these boots: See #3 above! They were dry and ready to go by the next morning. Ankle support is reasonable for such a lightweight boot. 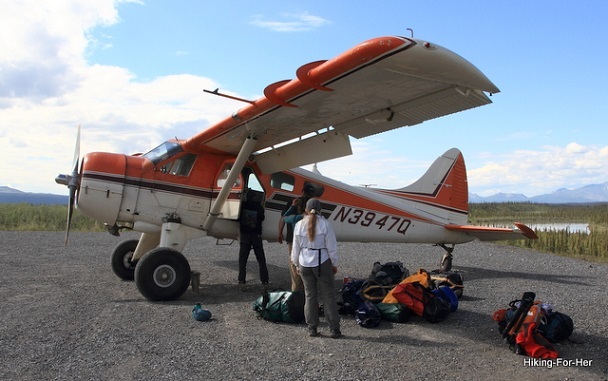 I felt well supported while navigating over tussocks and through swampy areas. They gave me confidence on rocky slopes, too. But not quite as much confidence as my rigid, high sided leather boots, to be fair. So if you have so called "weak" ankles and plan on navigating over loose rock, these might not be the boots for you. Fast lacing system – nothing hanging out or tangled, so expect easy on and easy off. There's a secure upper tab to keep the laces where they belong, and tabs to help you with lacing, as in pull them where they need to go. KEEN delivers quality at a fair price point. And there are variations within their price ranges so you can select what you feel most comfortable with. Don't forget to check the REI Outlet for the best deals on boots, and remember that timing is everything: end of season is your best bet. Now for the things I dislike, in order to provide a balanced hiking boots review to you, my dear reader. Only one major "dislike" that I’ve discovered, which is quite shocking. I loved my heavy leather boots, and was reluctant to switch out of these well built beauties. But they're getting harder and harder to find. Not to mention very expensive: an investment and a long term commitment in hiking footwear. My aging feet were beginning to grow ever wider, making my current leather boots too snug. And why lift extra weight with each step? Interested in a good pair of women's leather hiking boots? Here are two top choices, from trusted brands. But having said that, here's something important to consider. The traction on these boots is not completely reliable on rocky slopes. I don’t mean the big rocks that you have to navigate as you cross a talus slope. It’s the small “roll-y” pebbles that act like marbles underfoot that this boot doesn't handle well. I’ve had much better (meaning safer) footing in my Vibram (heavy duty rubber) soles. However, if you’re staying on dirt trails, no worries – the carbon rubber soles on these hiking boots should be ok.
Another drawback regarding soles: I’m hard on my boots, so I’m wondering how long these soles will keep up with me. I squeezed two hard summer hiking seasons out of these Targhees, and the tread is still more than adequate for dirt trails. Just brush them off and they'll keep on going. NOTE: These are not backpacking boots, unless you're an ultralight hiker who knows a lot about shaving every ounce off your kit. If you need to carry heavy loads for multiple days, I don’t think these boots will be up to the task. These KEEN boots are too lightweight, and while they do have some support & cushioning, probably not enough for rugged multi-day trips over varied terrain. Instead, consider those Asolos mentioned above. Or take a hard look at these Zamberlan women's hiking boots. This company has won my heart for their heavy duty construction and comfort. I plan to scour other hiking boots review sites, and will report back if I find anything dire. I will have to rethink what to do for backpacking boots unless I go ultralightweight (which I’m planning to do soon anyway - stay tuned as I evolve; the bush pilots will love me for it). Here is a review of the Salomon womens hiking boots that I wear for backpacking and rugged terrain. Bush pilot approved 'cuz they're super light weight! Tread stands up to the punishment of backcountry hiking. Use hiking boots review information to get ready for a big hiking adventure! KEENs are great for women hikers with wide feet. The toe box is roomy, allowing for the normal swelling which occurs during your hike without compromising fit. But they do have trail worthy selections for narrow feet, like the TERRADORA waterproof hiker. These are trail shoes, so are lower cut and therefore less supportive of your ankle. Perfect for a light load on well packed trails! If your feet are narrow, read this for more suggestions for the best womens narrow hiking boots beyond the trustworthy KEEN universe. KEEN has more worthy offerings in the hiking shoe department as well. It's an epic quest to find the right boots for your hard working hiking feet. Interested in my approach to finding the best boots for your feet? 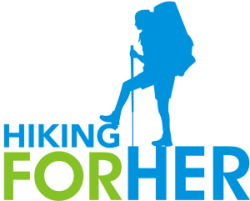 Read Hiking For Her's tried and true strategy for approaching hiking boots reviews.